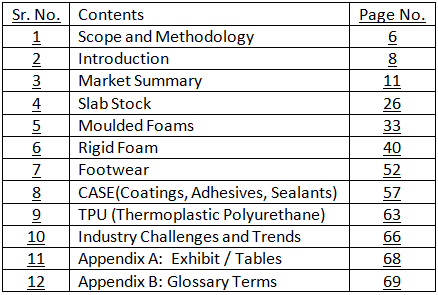 Indian Polyurethane Association (IPUA) has published an All India Market Survey for Polyurethaneswith a Five year projection upto 2021 in terms of growth rate, consumption, future projections etc.. It also gives segment-wise current levels of consumption, segmentwise growth anticipated both percentagewise and volume wise. It is perhaps one of the first of its kind done by the Association to have a proper understanding of the market-size and to estimate the growth potential of Polyurethane applications. 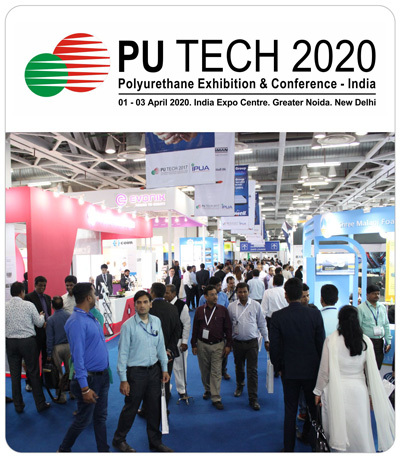 Needless to say that the applications for Polyurethane is growing in a big way across industries like Consumer products, Automotive, Building & Construction, Refrigeration, Mattresses & Furniture, Mass Transportation, Mining etc…. The survey report helps industry segments to focus more on their area of operation and take necessarysteps to grow their business. It also gives the overall supporting factors affecting the industry and how they are helping to grow the segments. It reflects on the demographics, consumption pattern, economic indicators, challenges faced by the industry etc…. Copies of the Survey Report are available for sale.